Aptly described as "the best ride and drive animal in the World", the Welsh Cob has been evolved throughout many centuries for his courage, tractability and powers of endurance. The general character is the embodiment of strength, hardiness and agility. The Welsh Cob breed possesses a dynamic personality. They are smart, mischievous, willing, lively, curious, present, active, loyal, and they enjoy people. Their general character is described as strong, hardy and active, with pony character and as much substance as possible. Any colour is now acceptable. Full of quality and pony character. A coarse head and Roman nose are most objectionable. Eyes are bold, prominent and set widely apart. Ears are neat and well set. Breed Description: “Exceeding 13.2 hands high with no upper limit. General Character: Strong, hardy and active, with pony character and as much substance as possible. Color: Any color. Head: Full of quality and pony character. A coarse head and Roman nose are most objectionable. Eyes: Bold, prominent and set widely apart. Ears: Neat and well-set. Neck: Lengthy and well-carried. Moderately lean in the case of mares, but inclined to be cresty in the case of mature stallions. Shoulders: Strong but well laid back. Breed Description: “Exceeding 13.2 hands high with no upper limit. General Character: Strong, hardy and active, with pony character and as much substance as possible. Color: Any color. Head: Full of quality and pony character. A coarse head and Roman nose are most objectionable. Eyes: Bold, prominent and set widely apart. Ears: Neat and well-set. Neck: Lengthy and well-carried. Moderately lean in the case of mares, but inclined to be cresty in the case of mature stallions. Shoulders: Strong but well laid back. Forelegs: Set square and not tied in at the elbows. Long, strong forearms. Knees well-developed with an abundance of bone below them. Pasterns of proportionate slope and length. Feet well shaped. Hooves dense. The Welsh Pony and Cob Society of the UK states it a little differently, but the requirements are essentially the same. “The general character is the embodiment of strength, hardiness and agility. the head shows great quality with Pony character: bold prominent eyes, a broad forehead and neat, well set ears. Written by Captain Howson, who was the secretary of the WPCS from 1928 to 1948. “As the very name implies, a Welsh Cob must be a short-legged animal of Herculean strength. In build it is distinctly the dual-purpose ride and drive type, combining quality activity, and a spirited yet kindly temperament with a subtle ‘personality’ entirely its own. It may be anything from under 14 to something over 15 hands in height and shows much pony character all over, but especially about the head and forehand and in the silky forelock, mane and heel tufts. 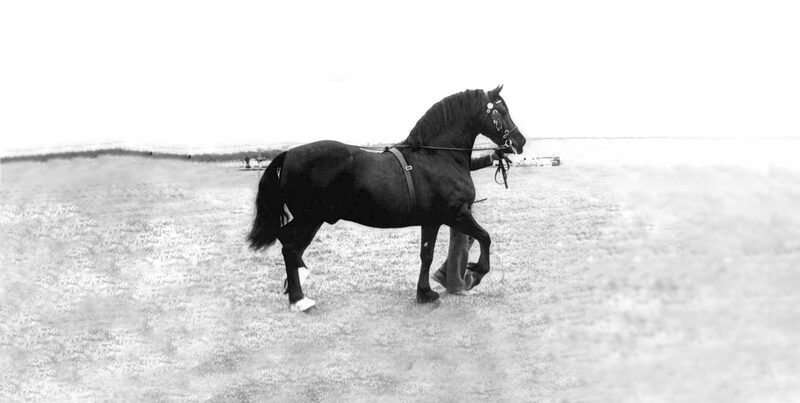 The Welsh Cob standard is largely defined from the history of the breed.